Exporting to other markets yields great opportunities for companies looking to grow, diversify and build a global presence, especially those which are well established or struggling to grow in the UK. However, any business starting to export might be hindered by unfamiliarity, the potential risks of working in foreign markets, and understanding the supply chain or the different steps in exporting. 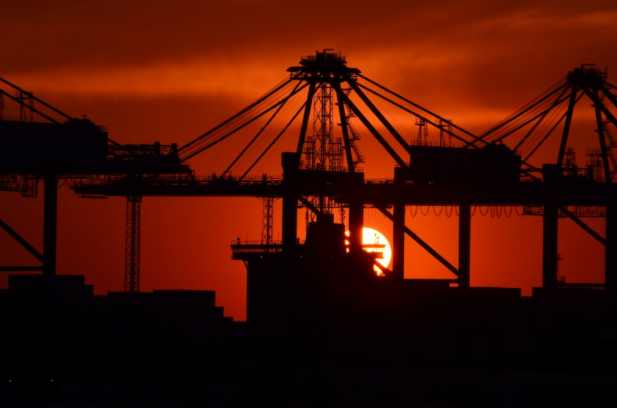 Why are exporters using trade finance? Most trading businesses have some form of payment cycle (also known as a trade cycle), that is, the difference between paying for goods / services and getting paid from the end customer. Between the point of payment and receiving payment, manufacturing the goods, shipping overseas, warehousing, and collecting the debt can often cripple businesses or strain the balance sheets for several months. Furthermore, any business with seasonal fluctuations and a stable credit line, might not be able to maximise earning potentials. For example, a woolen jumper manufacturer with a monthly £100k credit line from its bank might not be able to maximise profitability and growth during the winter months when it needs to purchase the bulk of its stock. Trade finance is an umbrella term for the financing of international trade, and by structuring the above accordingly, an exporter can avoid the situation of long payment terms, and focus on the next big customer or running the business without worrying about paying staff, quarter end revenue results, or balance sheet issues. That said however, it’s been recognised by the International Chamber of Commerce, that there is an unmet demand for the financing of trade, the gap is estimated to be around US $1.6 annually, particularly affecting small and medium enterprises. We’ve put together some exporter tips for accessing trade finance, including things businesses should consider when exporting overseas. Trade finance is the financing of international commerce, often a bilateral agreement with an exporter or an importer, using financial instruments such as Letters of Credit, cross-border finance, invoice finance, and supply chain finance. It’s important to remember that a trade finance transaction does not complete until the final payment has been received by the buyer. Banks and financial institutions bear the risk of the goods and services during production, and sometimes transit, using trade insurance and currency protection to reduce risk along the way. For exporters, understanding the key parties involved in trade, the risks across the entire trade cycle, and how these can be reduced, are key for successfully exporting overseas. There are several ways to ship a product, whether it’s by sea, rail or aircraft, each with different prices, timescales and risk. Geography is important too – transporting within the European Union is quite similar to exporting in the UK. When exporting outside of the EU, it’s important to understand trade tariffs and commodity codes for different products (see the government naming guide here). A commodity code will determine the tax tariff and duty that’s payable on goods leaving the EU, commonly known as ‘exporting to a third country’. A business will also need to register for an EORI (Economic Operator Registration Identification) number and for the Customs Handling of Import and Export Freight system. Normally a freight forwarder can assist with this. If your business deals with currency other than pound sterling, exchange rate volatility or currency movements can have a significant impact on the bottom line, especially as margins move over the time of a trade transaction. Fortunately, there are several forms of currency risk measures a business can take to guarantee or fix rates, as well as potentially monetise on positive currency movements. As an example, a foreign exchange option (FX option) gives a business the right to but not the obligation to buy or sell a defined currency at a specified rate on an agreed future date. It’s a premium product, however, FX options can be extremely useful for hedging FX risk when the direction of movements in exchange rates is uncertain. We’d always recommend speaking to a business FX specialist in order to ensure your business is suitably protected against FX volatility, particularly in times around Brexit, EU instability and Trump in the US. Exporting is often perceived as more challenging than doing business in a home country. However, by clearly understanding the risks involved, from a financial, political and operational perspective, and mitigating these, it’s a great opportunity, highly endorsed by Open to Export, Chambers of Commerce and the Department for International Trade. It’s always important however to do your own diligence on your trading partners, the goods being traded, and the jurisdictions involved. Researching the key partners, stakeholders and companies, looking out for company structures, reputation and trade history can help build confidence in trading with new partners or in exciting new markets.